When I arrived at the Labour Conference in Brighton the sun was shining and I immediately saw Jeremy Corbyn being chased by a small number of people wearing “I love Jez” t-shirts and running after him shouting “I love you Jeremy”. Overall the conference felt very upbeat, the small number of MPs and Shadow Ministers I heard speak were full of a renewed energy, and new ideas. When I arrived at the Conservative Conference in Manchester it was raining and cold, and the demonstrators were loud and hurled abuse at everyone in the vicinity of the conference secure zone with the hope that some of the people were Conservatives with some power. Inside however, and in the Fringe events, MPs and Ministers were confident and bold. And, of course, their ideas are becoming policy. Tinder Foundation doesn’t just work to close the digital divide – we’re working to close the opportunity divide as well. We work with local partners deep in communities to ensure that people aren’t excluded from jobs, skills, health care, human contact, savings, social mobility and other opportunities due to their lack of internet knowledge and confidence. In 2015, in the UK, not being able to use the internet deepens exclusions that already exist, and the people most affected are poor or elderly and often isolated. I went to a Fringe session on Child Poverty at the Labour conference and on the Working Poor at the Conservative conference. A common message from both is about facing up to the reality of poverty in our communities. And of the importance of joining up across departments, across sectors and across local (and hyperlocal) organisations – which is easier said than done! In fact “joining up” was a big message from (now Lord) Francis Maude, who appeared to me like a man proud of what he’s achieved in the past five years with GDS (Government Digital Services) and a bit more open now it’s not his ministerial post. Rachel Neaman from Go ON UK was also speaking, and usefully exploded some myths about digital exclusion. Many young people can’t fill in forms online or complete a CV, so we do have a problem with some young people – they’re not all digital natives. And almost half of those lacking basic digital skills are of working age – either stuck in low paid jobs or stuck with no job and no digital skills to apply for them. Rachel also said it’s not acceptable that people suffer from poor bandwidth, and that real affordable solutions for the people who can’t afford a connection need to be addressed and fast. We can’t accept the stereotype that people’s grandparents are the only people who remain unconnected and under skilled. It’s a much bigger problem than that. It’s a 10 million people sized problem. People who are in low paid work in their 30s and 40s are likely to stay in those jobs for at least 10 years. I’d like Tinder Foundation, and our excellent community partners, to continue to work to build people’s resilience and to more explicitly show how basic digital skills can be a platform to many important pathways out of poverty. Yes, it’s about building skills to help people get work and to get a better job, and it’s about linking people to the partner organisations who can help them with the complexity of their lives. The good news is that Matthew Hancock (now Minister for the Cabinet Office and in charge of GDS) in his closing remarks in a Policy Exchange fringe event about ‘digital opportunities and threats’ said that digital inclusion was extremely important, he said he was committed to the “massive liberation new technology is bringing …. services must remain universal, and available to everyone”. Well, you know I agree with that. The Government is clearly committed to increasing the number of great quality online public services available and to increase the number of people using them. Everyone who can now, or could with support, should also see the value, convenience and quality of these services. This will help save money, but also the experience is usually better than other channels. Digital inclusion can save the Government money, and improve information and transactional services for everyone. For those on the wrong side of the opportunity divide there’s a danger that if we don’t keep working as hard as we can and in as targeted a way as possible, the digital divide will exacerbate the exclusions that already exist in our society. 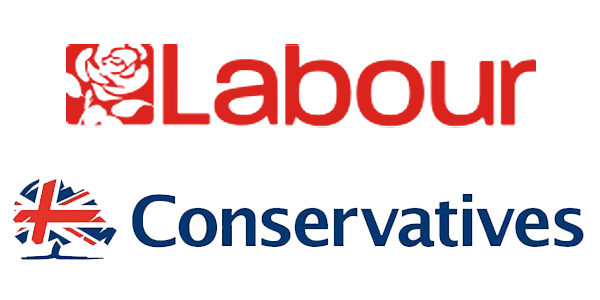 Although their drivers may be different to mine, the great news is that both the Labour Party and the Conservative Party seem to agree that digital inclusion is important to our economy and our society. So, we’ll keep working hard, with partners, to help provide a solution to close that digital divide – and opportunity divide – as fast as we can. It’s good to know we’ve got the politicians behind us. After all of the excitement of our Digital evolution events on Tuesday and Wednesday, I’ve finally found time to blog, and what a few days it’s been! This is the third year we’ve run the Digital evolution conference, and I’ve got to say it gets better every year. It’s just brilliant to bring together such a positive, can-do bunch of people who have a real commitment to making things happen, and making things better, for the people they’re supporting in their communities. This year, the focus of the conference was on leaving nobody behind, and people saw the conference as a rallying cry to close the digital divide once and for all. I talked to delegates about the enormous social and financial benefits of basic online skills, and I presented our A leading digital nation by 2020 report, that we published in February, which for the first time ever sets out clearly the cost of getting everyone in the UK online. It’s great having these figures as it gives us something to aim for, and a clear ask in terms of investment. I also spoke about the focus that we need to put on really getting to the hardest to reach. I know I’m preaching to the converted when speaking to UK online centres about this, but as more and more people get online, we need to start trying to reach those who are most excluded, as they’re the ones who can benefit the most from what the internet has to offer. Rachel Neaman gave a great speech; she talked about her new role as CEO of Go ON UK, and her ambitions for the organisation. One thing that Rachel said really stuck with me, that “1 in 5 of our adult population doesn’t have basic digital skills and this a national problem and a national disgrace.” She also talked about digital as the fourth basic skill, alongside reading, writing and arithmetic. This ambition really resonated with the audience, and with this kind of clarity I’m confident that Rachel will have a big impact in her role heading up Go ON UK. All the delegates and speakers had such a positive attitude – everyone spoke as a real doer, not just a talker. This was only emphasised by our final two speakers – Steven Roberts from Barclays who leads the bank’s Digital Eagles programme, and Dominic Campbell of Futuregov, who is aiming to revolutionise the delivery of public services. They both have a great can-do attitude, which I think really sums up the conference. I’m confident that every single person at the conference will go away and do something else, new, additional, to help close the digital divide – whether big or small. I certainly came away feeling really inspired, and I hope that if you were there, you did too. You can take a look through what was discussed through the #digievol14 hashtag, and you can look at our Storify here.